Another day, another great Sport documentary trailer. This time, take a look at ‘China Heavyweight’, the new Boxing doc from ‘Up The Yangtze’ director, Yung Chang. It follows kids from China’s rural peasant towns as they get selected and nurtured toward Olympic greatness by coach Qi Moxiang. It looks like one hell of a journey, but even in this brief trailer you can see the determination and desire amongst these youngsters to break out from their hometowns and live a life of greater purpose. After a showing at Sundance in January, the documentary will be released later this year into cinemas. Nearly all book-lovers in the North-East of England are familiar with Barter Books of Alnwick. It is a fantastic ex-railway station that has been turned into one of the most delightful, snuggly bookstores in the country. What I certainly did not know, however, was that it was also home to the ‘rediscovery’ of those now-infamous ‘Keep Calm and Carry On‘ posters which have been reproduced and bastardised countless times in the last couple of years. Here is a fascinating short documentary on how Barter Books discovered the (never issued) classic British WWII poster. Here is a beautifully directed short documentary on the collaboration between Red Wing Shoes and Rancourt & Co. of Lewiston, Maine. 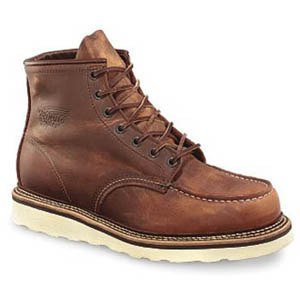 It highlights just how handmade your pair of Red Wing’s are, and why these companies are true American artisans. Amazing craftsmanship. 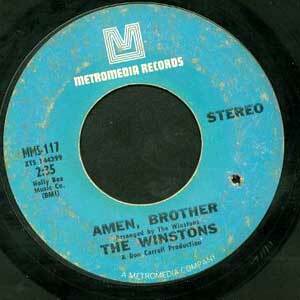 Check out this short audio documentary, summarising the genre-defining breakbeat; ‘The Amen Break’ (The Winstons). So amazing how 6 seconds of drums can create whole genres, and, as this doc points out, get so intrinsically deep into pop-culture, that corporations can tap into it to reach whole sections of society. It’s from 2006, so is a little behind on the tech front, but this doc gives fascinating context to a drum loop that has been used probably millions of times. It raises significant questions on copyright and creativity, in light of the SOPA issues that the internet has recently faced.